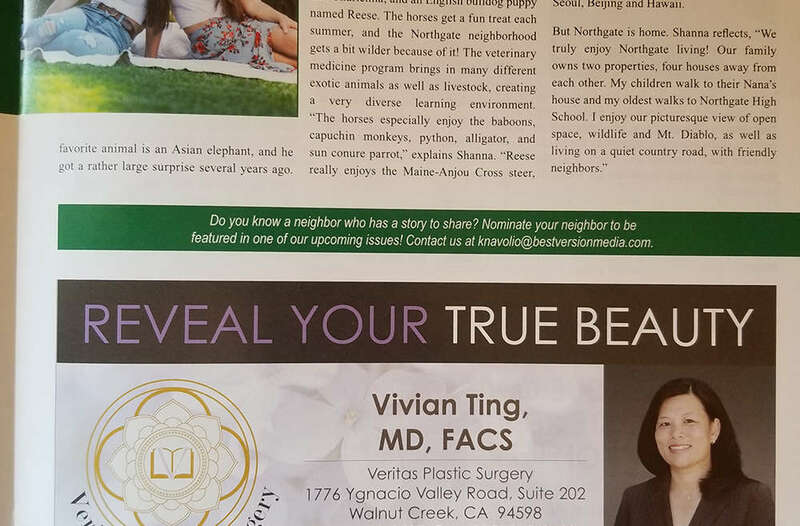 The Gage-Lai family lives in the heart of Northgate’s horse community nestled at the base of Mt. Diablo on property owned by Shanna Gage Lai’s family for 25 years. Shanna and her two children have embraced this community and all that they do with passion. Shanna was born in San Francisco, but spent most of her childhood in Moraga. When she was 14 her family moved to the Northgate area. She is an avid equestrian and found her passion early in life. She has won many international titles for riding including the United States Equestrian Federation Horse of the Year Award in 1995 (I would prefer not to include the year if that is ok with you) and National Champion titles in both the U.S. and Canada. 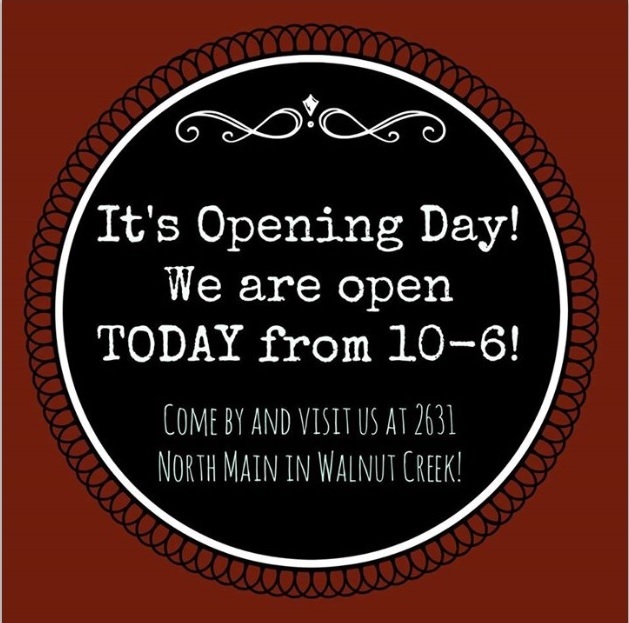 In 1998, the year she graduated from Northgate High School, she founded Horse ‘N Around Riding Academy. 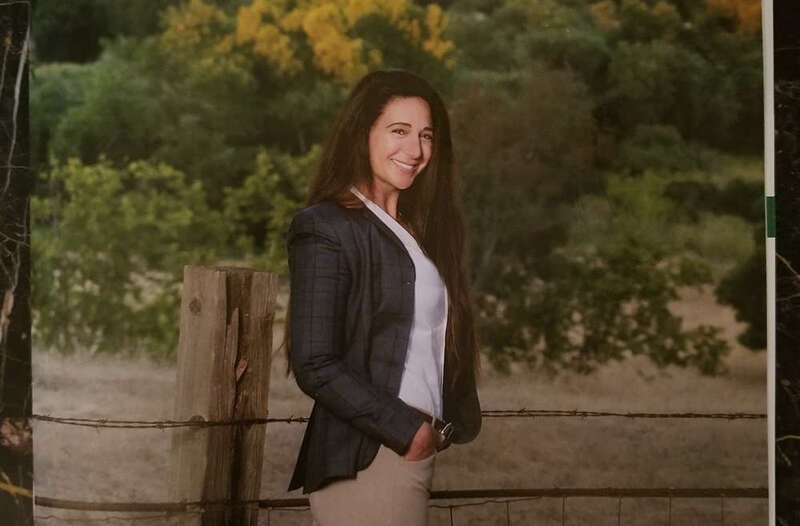 “I was so eager to jump into business that I started my first company at age 17, while attending Northgate High School, an enormously rewarding endeavor, financially and from a personal development perspective.” She served as advanced riding instructor in her teens and 20’s and CEO through 2014. 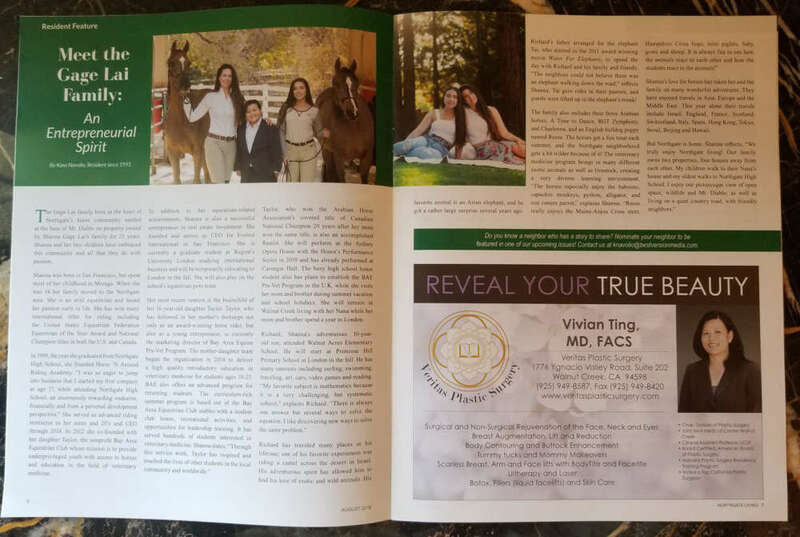 In 2012 she co-founded with her daughter Taylor, the nonprofit Bay Area Equestrian Club whose mission is to provide underprivileged youth with access to horses and education in the field of veterinary medicine. 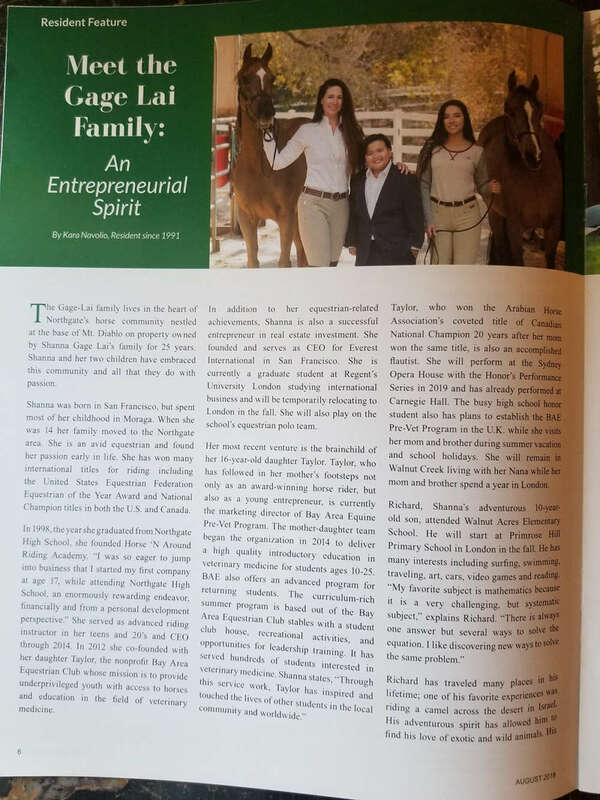 In addition to her equestrian-related achievements, Shanna is also a successful entrepreneur in real estate investment. She founded and serves as CEO for Everest International in San Francisco. She is currently a graduate student at Regent’s University London studying international business and will be temporarily relocating to London in the fall. Her most recent venture is the brainchild of her 16-year-old daughter Taylor. 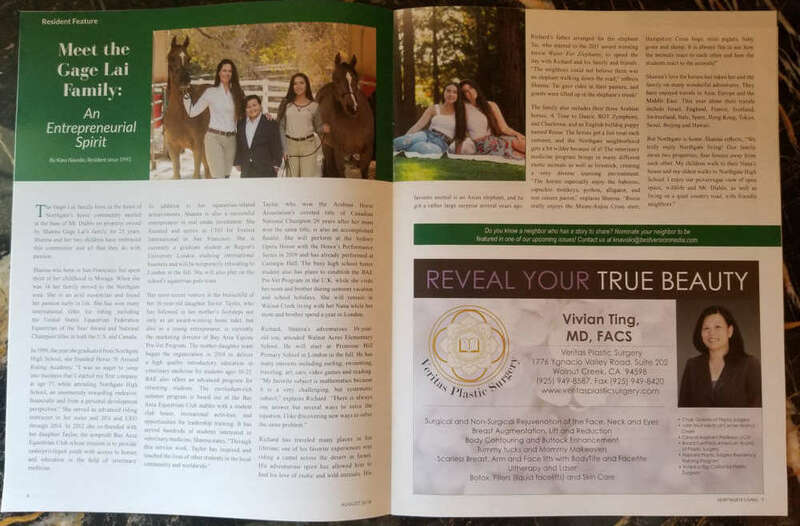 Taylor, who has followed in her mother’s footsteps not only as an award-winning horse rider, but also as a young entrepreneur is currently the marketing director of Bay Area Equine Pre-Vet Program. 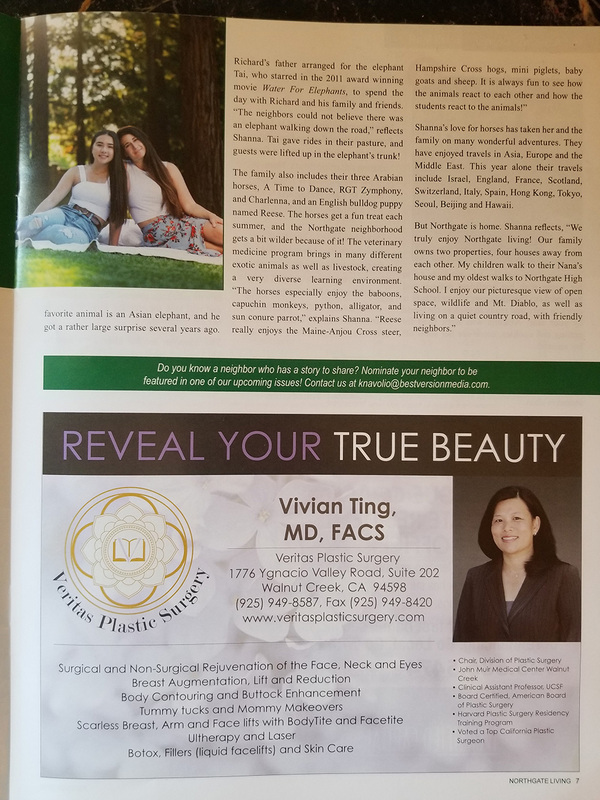 The mother-daughter team began the organization in 2014 to deliver a high quality introductory education in veterinary medicine for students ages 10-25. BAE also offers an advanced program for returning students. The curriculum-rich summer program is based out of the Bay Area Equestrian Club stables with a student club house, recreational activities, and opportunities for leadership training. It has served hundreds of students interested in veterinary medicine. 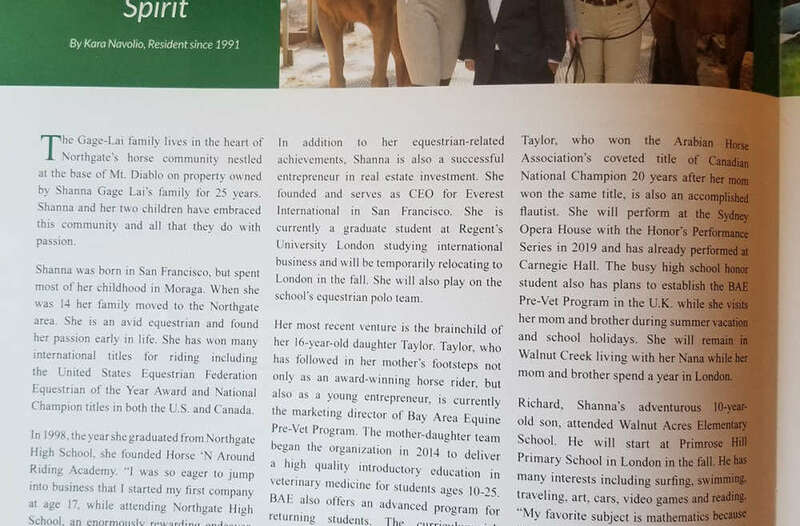 Shanna states,“Through this service work Taylor has inspired and touched the lives of other students in the local community and worldwide.” Taylor, who won the Arabian Horse Association’s coveted title of Canadian National Champion 20 years after her mom won the same title, is also an accomplished flautist. She will perform at the Sydney Opera House with the Honor’s Performance Series in 2019 and has already performed at Carnegie Hall. The busy high school honor student also has plans to establish the BAE Pre-Vet Program in the U.K. while she visits her mom and brother during summer vacation and school holidays. She will remain in Walnut Creek living with her Nana while her mom and brother spend a year in London.